I think I was the first of the de Graaf invasion to arrive in Kigali but I was quickly followed by Jan's sister Anna and her partner Sjoerd - fresh from a trip to South Africa - and, later that evening, by Jan's parents Pim and El and youngest sister Julia. All up 80 guests are expected from overseas and 300 from Africa (mostly Rwanda and Kenya). I can't even claim to be the only Kiwi - I'll be sharing the honour with Alex Hooft. 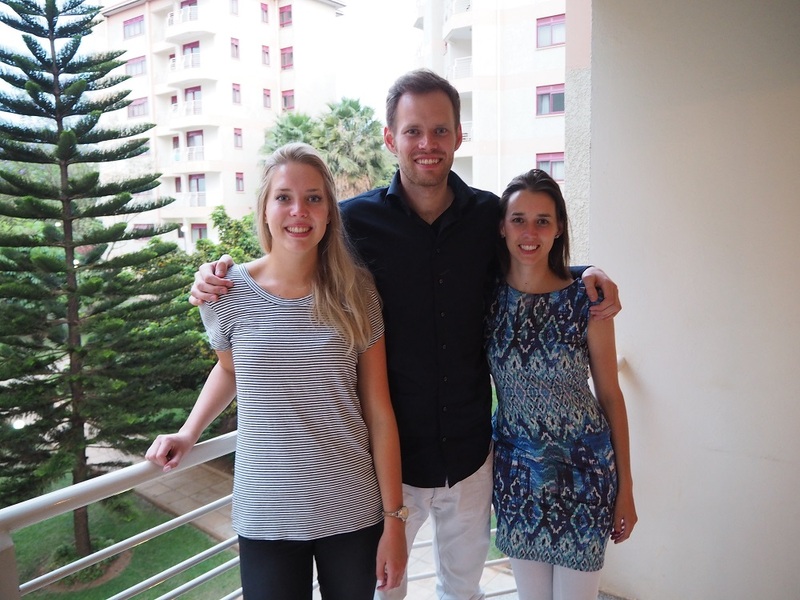 The photo is of the groom, Jan de Graaf, with his sisters Julia (left) and Anna, at the apartments we're taking over in Kigali. More rellies arrived today but I'm on a brief foray into the Rwandan countryside so I'll meet them when I get back to the city on Thursday night.